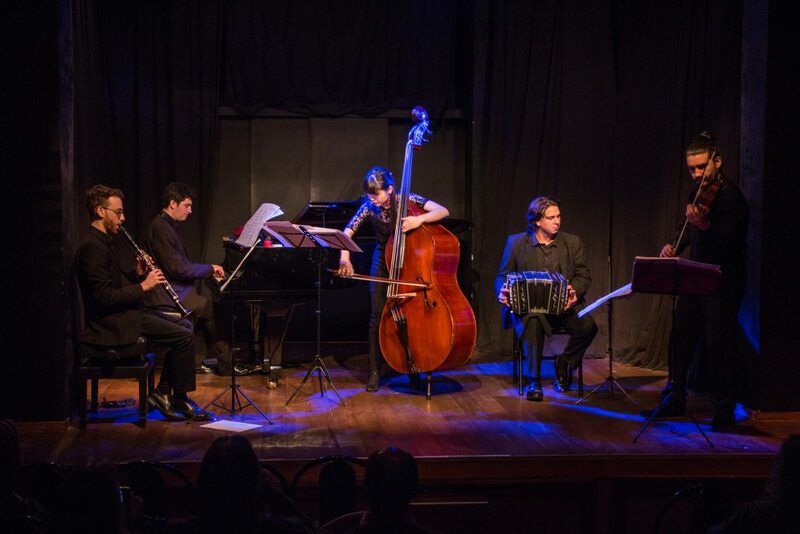 Opustango Quinteto is a tango music group based in the city of Buenos Aires, made up of young musicians with extensive training and recognized achievement. 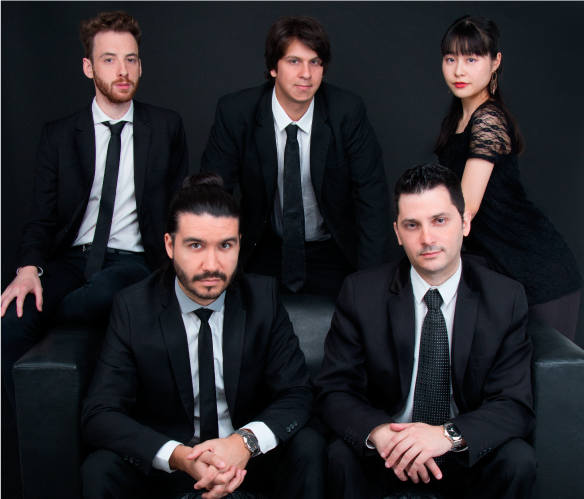 The quintet mainly performs tangos, waltzes and milongas with its own musical arrangements. However, they also often recreate orchestral versions belonging to the so-called “golden age” of tango. The quintet’s special sonority is due to the solo role of each member. Yet the group still retains the sense of ensemble, and also incorporates the clarinet (unusual for the genre). Their repertoire is varied, including composers from the beginning of the 20th century (such as Agustín Bardi, Eduardo Arolas), up through Carlos Di Sarli, Julián Plaza, Mariano Mores (among others), to creators of the last few decades (Nicolás Ledesma, Raúl Garello, Astor Piazzolla, etc.). Opustango Quinteto performs in various Argentine salóns and is producing its first recording, to be released shortly. Publicado el 10.10.2015 en Artists. Añade a favoritos el enlace permanente. Deja un comentario.